These days I'm giving my classes in the Master Search Engine IDEC-UPFSo I have a lot of students asking questions about Google Adwords, SEO and Google Analytics. One of the recurring questions is "why when I check the results of a campaign Adwords these do not match the data provided by Google Analytics me". Here is a link that Google explains each of the parameters that differ in control Adwords campaigns about Google Analytics and why they differ. Document: Why Google Adwords and Google Analytics show different results. This Thursday March 21st classes begin SEO which they are part of Specialization Course in Digital Marketing. This year, unlike in previous editions, the camera allows students to sign up to loose modules. On Thursday, begins the module "Attracting visitors to a website"In this module all the techniques that will help us attract traffic to a website are treated. The principal of these techniques is the SEO, Engaged to 8 hours, with the SEMThe high in directories and online intermediaries, public relations, videomarketing and mobile marketing. Sessions SEO and the other techniques I teach, those of SEM imparts Victor Francisco. In total, there are 5 sessions of 5 hours, delivered every Thursday (except Holy Thursday) from this week. How to attract visitors to our website? Buying search engine keywords. Also called SEM Search Engine Marketing. It is to buy certain key words when someone look, do see an ad our search engine. Here you will find information on how to improve your campaigns SEM. Advertising on third party websites. It consists of advertising space on web pages where we can find our target audience. Affiliate programs. Broadly speaking, we could define this technique as an advertising technique that is paid for results rather than clicks or times you see an advertisement. In Zanox (And other pages of the same type) find the easiest way to create an affiliate program. The presence in directories and online markets. It is to be present (for free, in many cases) in directories and markets including companies like our own. In Emarketservices.com We find a list of all directories and world markets. The public relations in online press. They are very similar to public relations in offline media, but this time, guiding our efforts to appear as articles or interviews in the press network. Shares of public relations blogs. They are similar to public relations press but posting on blogs rather than in print. This action is practically free and offers very good results. We can find listings blogs Technorati. In www.Zync.es bloggers find they charge for posting reviews. Email marketing to external databases. It is to buy or rent databases emails. This technique is very effective especially when we are heading to companies and databases are purchased from official bodies such as the Chamber of Commerce (Camerdata.es). The actions related to Web 2.0. The presence in social networks, collaborative tools and generally in the social web, is a type of action that can offer very good results if we know how to do it, but we need to spend a little more time than the rest of techniques and requires constancy. The Content Marketing. Is the creation of content that appeals to different segments of our target audience, for entering our website and convince them that we are the solution to their problems. To carry out successfully, you have to find out what market segments are creating content that interests them and that is related to your services and publicize this content using 9 above techniques. On all of these techniques you can find information on this blog and many others. So if you do not know where to start, first make a good benchmark (How to Make a Benchmark?) And then plan some actions related to the techniques cited therein. If you need specific training on a particular topic, please contact. https://www.montsepenarroya.com/wp-content/uploads/2017/09/MP-Logo-Web-1.png 0 0 Peñarroya Montserrat https://www.montsepenarroya.com/wp-content/uploads/2017/09/MP-Logo-Web-1.png Peñarroya Montserrat2010-06-04 10:56:162010-06-07 19:24:34How to attract visitors to our website? The microsegmentación It is a technique that involves dividing the target audience of an almost unique product or service in parts as small as possible ... in really very very small segments. Many of these segments, so far, were out of the market because they did not represent sufficient critical mass to be considered profitable and therefore were not attacked by advertising or customized products. This has changed with the advent of the internet and now the cost of reaching these segments and prepare an offer specially designed for them, has made itself considered profitable part of the market, and therefore the microsegmentación is an increasingly used practice because of the good results obtained using it. This marketing concept that involves dividing the target audience and take it into consideration micro segments commercially, is what he calls "The Long Tail" or "the long tail"And it is typical of the new internet, what we call Web 2.0. It is the opposite to Pareto PrincipleA classical principle in economics and marketing. The Pareto principle postulates that 20% of an action will produce 80% of the effects, while the remaining 80% originates only 20% of the effects. Thanks to techniques such as SEO or SEM attacking the cost of micro segments is actually very low. In fact, in SEM, the more specific are the words we buy, the less people will buy them and therefore have lower cost. Thanks to microsegmentation can get CTR (click through rate) higher in our campaigns, which allows, for example, improve our position in the sorting algorithm results Adwords, at no cost to us. As few companies practicing Marketing 2.0 these segments will be attacked by few people and have more chances that our message reaches our target audience successfully. So you know ... the next time you make a campaign of any kind, think of micro segments and creates content / ads for each of them. 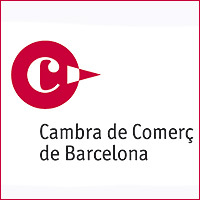 The next 19, 21, 22, 26 and 28 April will be held at the headquarters of COPCA - ACC1Ó of Barcelona Digital Marketing course oriented to International MarketsIn which I have the pleasure of participating as a teacher with Victor Francisco. How to optimize web traffic and increase the number of business contacts and sales via the Internet. What are the targeting techniques to guide web page to markets and public policy objectives that are in other countries. How to Improve SEO and SEM internationally. How can we guide our Web 2.0 strategy internationally. What techniques usability and persuasion can use to get a higher conversion on our website. What web analytics tools we use to control the ROI of our investment. The last session of the course will be taught in a classroom with a computer for each student. This will be put into practice the techniques learned during previous sessions. A total of 20 class fully more export-oriented thanks to the website of the companies. 1. Analyze and segment existing customers. It is always best to start analyzing what the company is doing right now, so except when we analyze a business start-up, the first thing we should do is create a list with current customers and go looking for demographic and behavioral patterns. My advice is that you create an Excel spreadsheet and include in it the following fields: business name, business sector to which it belongs, services or products that you hired ever, why you think you hire the services, income generated your company during the past year. If possible, also indicates the number of employees you have and where it is located geographically, as well as any other information that you think may be relevant. While this Excel spreadsheet analyzing discover patterns that allow us to group customers based on behavior and according to certain attributes. With this information have discovered the market segments currently working with our company, and probably already discover some micro segments, but the interesting thing is to discover new micro-segments to attack from now, let's see how. Another good way to find out who can be your market segments is analyzing the communication of your competition and their website. If brochures communication have been made by someone marketing specialist it will also be easier to give you clues as to which market segments are addressed ... but again, sometimes companies conduct communication activities Marketing without marketing specialists , so that the resulting product is useless level of segmentation and value propositions for the market. Analyze competition will also help us differentiate ourselves from it (if we carry out a differentiation strategy, obviously). 3. Investigate patterns of behavior. Using certain tools can know which websites people visit entering our website (through google AnalyticsFor example) and what websites people visit entering the competition website (through Alexa.com or through Google Trends para Websites, for example). With this information we can discover sites that compete with our company and types of customer that will help us better target. Once the segmentation and discovered the potential niche market, you have to decide which of them we will attack (certainly be just some ... but if we follow a strategy of "long tail"We should try to reach the largest possible number of small segments). Having decided this, we can begin advertising campaigns we have in mind, segmentándolas well, and we can prepare our website orientating market segments and not product, and preparing for both landing pages for SEO and SEM. I hope this information has been helpful and that from now on make it easier to discover market segments and can make your digital marketing actions considering microsegmentation. How do you know which browser is most popular in a country? In classes and conferences dedicated to International Digital Marketing There are always those who ask me how to get useful to perform Search Engine Marketing in remote countries data. My answer is always that when someone meets the need to know which search engines dominate in each country, its evolution over the years and the percentage of searches performed on them, we can find it on this website: GS Statcounter. For example, did you know the following? In China, local search engine Baidu searches sweeps also an unrelenting pace with last year: Baidu Sweeps China. Google does nothing to lose market share in this country. It is not therefore surprising that Google Tomase 2% stake in Baidu when it went public in 2005 ... but now that the war is serious, Google has sold its stake Baidu (earning more than $ 50 million from the sale) and decided to go for it. So if we need information on search engines or browsers, operating systems, mobile phones, etc. in GS Statcounter we can find interesting information for international digital marketing conditions. With this information we can use different actions Search Engine Optimization to a particular country or a particular language, and advertising campaigns in search engines (SEM) without having to rely forever on Google and its network. https://www.montsepenarroya.com/wp-content/uploads/2017/09/MP-Logo-Web-1.png 0 0 Peñarroya Montserrat https://www.montsepenarroya.com/wp-content/uploads/2017/09/MP-Logo-Web-1.png Peñarroya Montserrat2009-09-07 14:10:202010-04-30 03:18:27How do you know which browser is most popular in a country? I'm still in Paris, so keep reading French press and today I find this interesting news: Yahoo is developing an expansion strategy by the Arab countries. Maktoob It is a kind of Facebook Arabic but with a webmail service, video games and Auctions, founded in 2000 and, as indicated by themselves on their website, has more than 16 million users. Users are mainly from Saudi Arabia, Egypt, Algeria and Kuwait. The cost of the transaction has not been reported officially, but according to the blog TechCrunchThe sum of the acquisition could have reached 85 million. Retrieved Ranking Alexa para Maktoob we can see that is at position 157 globally and we can also see the spectacular rise that this site has suffered for the past two years, although this 2009 moment, I was not being a good year. Analyzing the data shows that Alexa can see is the web Maktoob number 5 in Iraq; number 6 in Saudi Arabia, Syria and Yemen; number 7 in Jordan and Sudan; the number 8 in Bahrain and Saudi Arabia and occupies the top 10 on the Internet many other Arab countries. A priori it seems a good buy by Yahoo, that it expands its network of pages that offers its advertising platform and is positioned as a reference for level marketing reach Internet users in Arab countries. There will be taken into account.